The connected or “modern” home is moving in the direction of having everything communicating with each other as well as with the central user. 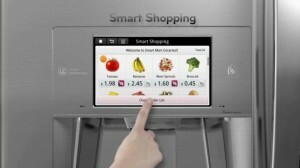 Although the ability for devices to connect with each other is not yet present on the consumer level, LG may soon make it possible for people to have a chat with their smart appliances. LG HomeChat and the Line messaging app will work together in order to allow users to communicate and command their appliances with text messages. The best part about these commands is that they do not have to be in a strict format, and instead, users can message an appliance in plain english without any structure or form to it. HomeChat also has some features past the simple commands at its core. 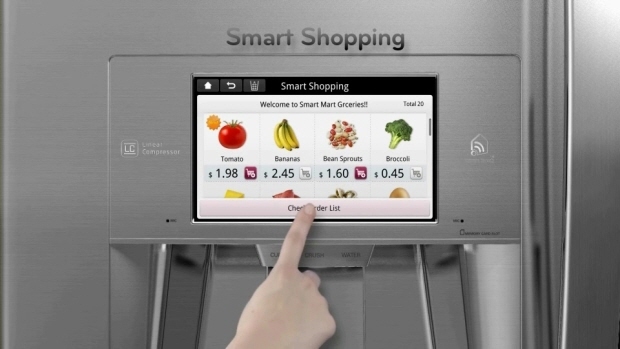 For example, checking in with a fridge to see what is present inside of it will be possible with LG’s software, which should make shopping far easier than it currently is. These commands will be accepted by devices that are part of LG’s 2014 Smart Appliances lineup, many of which will be shown off in more detail during CES 2014. Everything from washers and dryers to fridges should be capable of working with HomeChat and the Line messenger, meaning that users will soon be able to control the majority of their home right from their smartphone. The features present in LG’s upcoming fridges are definitely impressive and are only rivaled at first glance by the company’s HOM-BOT SQURE vacuum cleaner. With the addition of HomeChat, the SQUARE can be controlled almost entirely from a smartphone and it will be possible for a user to activate the device, check when it last cleaned, and change where the cleaner is moving throughout the house. Smaller commands will be carried out with the addition of NFC to LG’s 2014 Smart devices making it even simpler for consumers to control their appliances when they are actually at home and near the products. All of LG’s latest smart appliances are nearing completion and will be present at CES 2014.